Simplilearn’s Machine Learning course will make you an expert in machine learning, a form of artificial intelligence that automates data analysis to enable computers to learn and adapt through experience to do specific tasks without explicit programming. You will master machine learning concepts and techniques including supervised and unsupervised learning, mathematical and heuristic aspects, and hands-on modeling to develop algorithms and prepare you for the role of Machine Learning Engineer. What are the objectives of our Machine Learning Certification Training course? This Machine Learning online course will provide you with insights into the vital roles played by machine learning engineers and data scientists. Upon completion of this course, you will be able to uncover the hidden value in data using Python programming for futuristic inference. You will work with real-time data across multiple domains including e-commerce, automotive, social media and more. You will learn how to develop machine learning algorithms using concepts of regression, classification, time series modelling and much more. What skills will you learn with our Machine Learning Certification Course? What projects are included in this Machine Learning Online Training Course? Simplilearn’s Machine Learning course is hands-on, code-driven training that will help you apply your machine learning knowledge. You will work on 4 projects that encompass 25+ ancillary exercises and 17 machine learning algorithms. 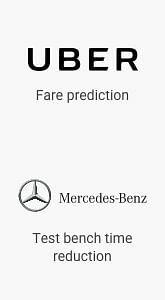 Uber, one of the largest US-based taxi cab provider, wants to improve the accuracy of fare predicted for any of the trips. Help Uber by building and choosing the right model. Mercedes-Benz, a global Germany based automobile manufacturer, wants to reduce the time it spends on the test bench for any car. Faster testing will reduce the time to hit the market. Build and optimise the algorithm by performing dimensionality reduction and various techniques including xgboost to achieve the said objective. Many social programs have a hard time making sure the right people are given enough aid. population can’t provide the necessary income and expense records to prove that they qualify. 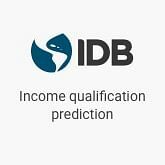 Predicting the right set of people to be included for the aid remains a big challenge for Inter-American Development Bank. Help the bank by building and improving the accuracy of the model using random forest classifier. provisioned access, models can be built that automatically determine access privileges as employees enter and leave roles within a company. These auto-access models seek to minimize the human involvement required to grant or revoke employee access. Help Amazon.com to build such a model and suggest the one with maximum accuracy. What are the prerequisites for this Machine Learning course? Who provides the certificate and how long is it valid for? Upon successful completion of this course, Simplilearn will provide you with an industry-recognized course completion certificate which has a lifelong validity. How do I become a Machine Learning expert? This course will give you a complete overview of Machine Learning methodologies, enough to prepare you to excel in your next role as a Machine Learning expert. You will earn Simplilearn’s Machine Learning certification that will attest to your new skills and on-the-job expertise. Get familiar with regression, classification, time series modelling, and clustering. Submit at least one completed project. Simplilearn is a great start for the beginner as well for the experienced person who wants to get into a data science job. Trainers are well experienced and we get more detailed ideas on the concepts and exercises. I could finish my Machine Learning advance course very easily with good project exercise. Simplilearn's course content is designed in a way that every session is closely connected to the next. There is no need to mug up the lessons. The instructors put thought into training and motivating students. I am really happy I joined the course. The training was fantastic. Thank you for providing a great platform to learn. It was a great learning experience. The hands-on assignments and the various resources provided by Simplilearn is excellent. The live sessions were simply awesome. The trainer was so successful in keeping the remote class active, covered all topics in such a short span and majorly ensured that the entire class was moving forward together in spite of the known time constraints. My special thanks to the trainer for his interest and dedication. Thanks once again to Simplilearn. I really liked the trainer. He is very patient, well organized, and interactive. I had an awesome learning experience with Simplilearn that was beyond my expectation for an online classroom. My experience with Simplilearn has been amazing. This is the fifth course that I have done from here and all the courses provide the best quality knowledge. Machine Learning course content was wide and deep. It covered algorithms, Python programming, Mathematics, and Statistics. It also provided project support. My customer support experience has been fantastic as within seconds or minutes, I have been provided with solutions and all my issues have been resolved to my full satisfaction. The faculties are well educated, well experienced, humble, kind and eager to teach things. 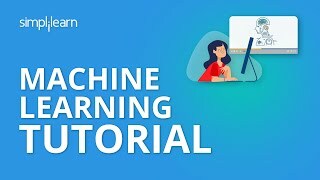 I have enrolled in Machine Learning from Simplilearn. The content of the course is elaborate and easy to understand. The faculty has clarity in his way of explaining, maintains a very good balance between theory and the practical process. It has been a great learning experience for me. Simplilearn provides a platform to explore the subject in depth. The way it connects every problem with the real world makes the subject even more interesting. The trainers and support staff act promptly to each query with every possible help. Machine Learning course is definitely one of my best experiences and is highly recommended for every data scientist aspirant. I have completed Machine Learning certification recently from Simplilearn. It felt amused how I was able to this skill when I was finding it super-hard when learning through some of the other online platforms. 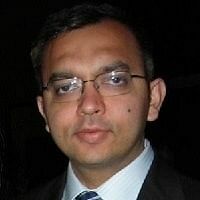 No Doubt that I feel Simplilearn is the Best Online Platform for learning Computer Science Skills! The Online Lab access gives complete tech resources using which you can execute Computer code and don't need to install the software on your laptop. The whole system is both simplistic and 1uality wise absolutely to the point and makes the user experience simple and beautiful. The content of the course was interesting and it used a lot of real-life application which helped me to understand better. The customer support was very supportive and always ready to help us. In fact, they always assured that our problem will be solved and the response was quick. Hence, A curious mind should not miss a chance to enroll in his preferred course at Simplilearn. I have been taking multiple courses from Simplilearn including Big Data Hadoop, Machine Learning, MEAN Stack. Apart from awesome content and trainer, they have amazing support executive that makes me feel cared. The customer support is helpful and is always there whenever you need help. That is where other online training programs are lagging behind. Well done Simplilearn! Leela Krishna Senior Operations Professional at IBM INDIA PVT. LTD. The course was very informative. The study material provided by the trainer was extremely helpful and very easy to understand. The course material was very engaging and helpful. The Trainer's in-depth knowledge helped to understand Machine Learning better. My experience with Simplilearn has been very enriching. The faculty was quite experienced and had a deep knowledge of the subject. I am happy with Simplilearn and would definitely recommend others. My experience while doing machine learning certification from Simplilearnwas was beyond my expectation for an online classroom. The trainer was great. He was very patient and interactive. The Simplilearn learning experience was beyond my expectation. The professionalism with which the training was carried out is worth commending. I would readily recommend Simplilearn to anyone who wants to pursue a career through online learning. It's worth the money. Happy learning with Simplilearn! Machine learning is nothing but an implementation of Artificial Intelligence that allows systems to simultaneously learn and improve from past experiences without the need of being explicitly programmed. It is a process of observing data patterns, collecting relevant information, and making effective decisions for a better future of any organization. Machine learning facilitates the analysis of huge quantities of data, usually delivering faster and accurate results to extract profitable benefits and opportunities. Online classroom training for Machine Learning Certification is conducted via online live streaming of each class. 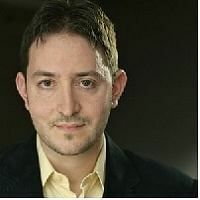 The classes are conducted by a Machine Learning certified trainer with more than 15 years of work and training experience. We offer 24/7 support through email, chat and telephone. We also have a dedicated team that provides on-demand assistance through our community forum. What’s more, you will have lifetime access to the community forum, even after completion of your course with us. How do I enroll in this online training? Yes, you can cancel your enrolment if necessary. We will refund the course price after deducting an administrative fee. To learn more, please read our Refund Policy. Who can I contact to learn more about this Machine Learning course?